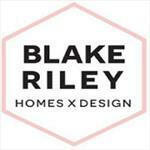 Blake Riley Homes is the premier luxury nterior designing and home staging orange County CA organization.Making your house into a home is our passion.Sell your home for more with home staging experts. Looking to home for sale in CA?Blake Riley Homes is a boutique home staging company with a fresh approach to design that sells real estate. We are specializing in home styling, home staging and interior decorating services to get ready to sell.Hire the best experts to your sale your residence home in the real estate marketplace.Our main motive is to help you to sell your home faster and at the best price possible. Visit our site for more information and pricing.